Both sides will target three points after tasting defeat in their last match. Kerala Blasters head coach Rene Meulensteen is keen to move on from the defeat to FC Goa defeat as the hosts continue their search for the first win this season, against NorthEast United. The Dimitar Berbatov-less Blasters have made their worst start in the history of the Indian Super League with just three points from four matches. “Berbatov’s absence is a huge loss. He gives us that quality and composure. I don’t think that game (the match against FC Goa) would have developed the way it did if Berbatov would have stayed fit. The freak seven minutes in Goa is just something that I don’t think will happen again. We are waiting for the first win, that’s the most important thing and how we are going to get it is secondary,” Muelensteen said. 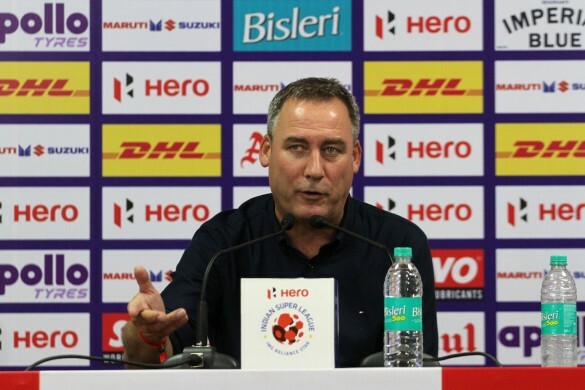 Meulensteen admitted that his side made several mistakes in Goa and reckons it will take time to see quality football in the league. “I have seen so many ISL games already and most of the goals come from mistakes rather than really good football. Over time this will get less. The Indian players will get better and that’s part of the learning curve." "I would expect one or two mistakes not four or five. Hopefully we made all the mistakes in one game and we don’t have deal with any going forward,” the 51-year-old added. He confirmed that Iain Hume has resumed training and will be part of the squad later today. NorthEast United head coach Joao de Deus was in upbeat mood ahead of his side’s away clash against Blasters. Though history is against the Highlanders as they are yet to win a match against the Kerala outfit in Kochi, Joao is not worried. “It was in the past and doesn’t have any nothing to do with what’s going to happen tomorrow. I am confident that we are going to have a good match tomorrow,” Joao said. 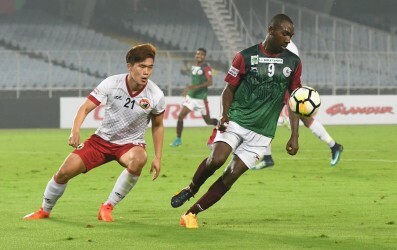 When asked whether Kerala Blasters assistant coach Thangboi Singto’s inside knowledge of few NorthEast United players he managed at Shillong Lajong could have an impact in the game, the Portugese was eager to point out his relevance in the team. Though Blasters had a hard time against FC Goa, de Deus believes the Berbatov-less hosts are a strong unit. “They (Blasters) are a strong team and usually attack from the wings. You cannot judge them based on one match as it’s a long season,” he said. He also lavished praise on Rowlin Borges and referred to the 25-year-old as the best Indian player he has seen.